Strategic Planning Process Leadership: Organize and facilitate an objective process which will lead decision-makers to a clear vision of a future direction, define goals, and offer strategies to achieve the goals. Create ongoing update processes and evaluation mechanisms. Organizational Strategic Assessment: Profile internal strengths/weaknesses and external opportunities/threats. Assess corporate culture, environment and readiness for change. Conduct attitudinal studies of employees and constituents; perform image assessment. Organizational Development: Facilitate an understanding of the structural needs of the organization in order for it to carry out its mission. Includes board, volunteer, and staff organizational considerations. Executive Coach: Explore and evaluate issues, concerns, strategies and policies as a confidential service to chief executive officers who are considering significant operational and/or organizational change. Management of Change: Organizational development, including seminars, workshops, training sessions and communication vehicle development. Business and Marketing Plan Development: Research and develop business/marketing plans for organizations, products and services. 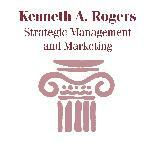 Pricing and positioning strategies, promotional plans, and evaluation methods. Group Process Facilitation: Manage and coordinate board and staff retreats/workshops to facilitate change through communication, consensus building, and planning for implementation. Also, focus group moderating and reporting. Merger and Affiliation: Facilitate processes for the merger or affiliation of not-for-profit organizations, including exploratory meetings, due diligence, letter of intent, and affiliation agreement. Brand Identity/Positioning Strategy: Facilitate processes to understand current market position and strategy development for re-positioning with a new brand identity. Governance: Assess board of directors organization and apply new approaches to governance that best fit the organizational vision.